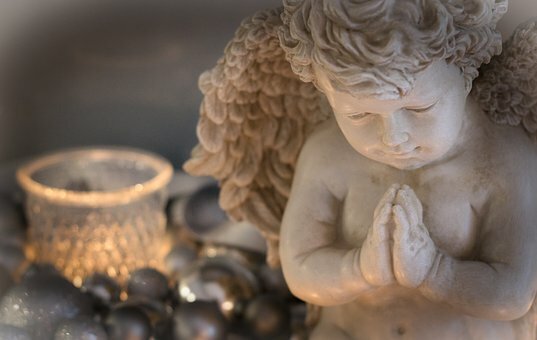 When I first connected to Angels of Abundance, I wasn’t quite sure what it is going to teach me. I expected it to give me key insights on how to earn more or save more (as most of the 3d frequency people would think when they read the word abundance). Hahah! However, gradually now that I have ascending on higher levels, I find it really funny. So, they not only taught me what money is and how to respect it, cherish it and how to live our lives but also how to live each moment (no matter it’s about money or not) in Gratitude (being grateful). The best part they taught me is not be restrictive with our requests to the universe and that is why I learned to add "this or better" at the end of my request. The day I changed the terminology of prayers, be it for money or anything else and added "this or better" or "this or something better" (giving space and leverage to the universe to decide what is best for me), the results were far better than what I asked for. So, what the best thing for all of us to learn and understand here is, always remember we may be asking good for ourselves, but could be possible God and Universe want to give us even better and best than what we are asking for ( there is always more than enough for each person, species and everyone in this universe). We just have to understand how this universe work and that we all have 100% right to manifest what we want to, given that, it doesn't harm anyone. (Be very cautious of "Universal Law of Three", what you give into the universe will come back to you 3 times). So, he has a broader perspective than ours so why settle in less, let the divine decide for us as per our divine plan, what may seem far, impossible or even not in our plans, is possible through God and the Universe. All you need is complete faith, surrender and patience (Shraddha aur saburi). What has to happen; will happen as per the divine timing. Tip for prayers: Never beg for what you already deserve. Come out of limiting beliefs and judgements. If something is in your fate, nobody can stop it from getting manifested for you in this reality. If something is not getting manifested, analyze how and what you are asking for? Are you asking what you really need or just out of fear, insecurity, jealous and comparisons and to show somebody beneath you, you are asking that. Prayers that are from pure divine intentions, divine love for self & others and with complete surrender are answered sooner rather than ones that do not have this base. Pray like you have 100% confidence it is done and if it is in your highest good, it will be answered but be patient, universe has its own way to answer and fulfill it. Respect the divine timing; don’t rush for results as it may lead to frustrations and lower vibrations that act as a major obstacle in manifesting desires. Have patience and wait for the perfect timing, as when it will be fulfilled you will be surprised by seeing the outcome being outstanding even more than you have had expected. Love, Light, Peace, Gratitude and Lots of Blessings for all!!! The divine light source in me greets the divine light source in you"
God is my shield so I have nothing to fear!